Crafted from solid wood and maple veneer. 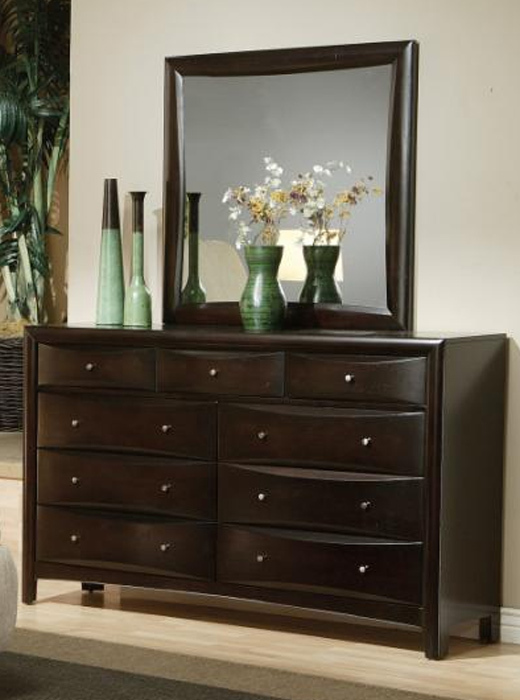 A very well made contemporary dresser with optional mirror. 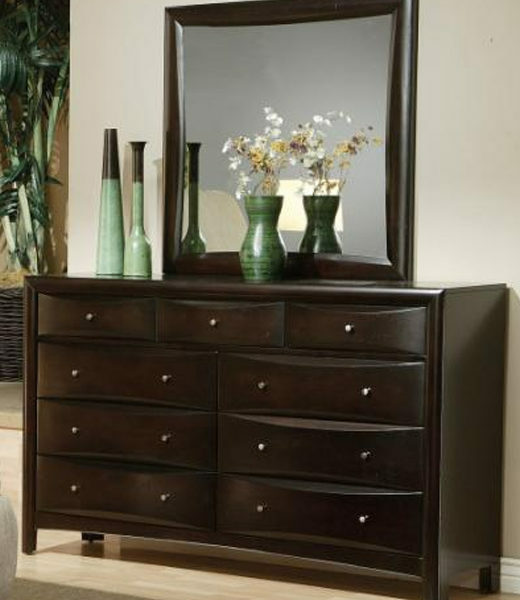 The dresser offers good bedroom storage space. A clean shape for a modern look. Chambered drawer fronts and chamfered molding trim. Six large lower drawers will accommodate clothing and bedroom linens, while three smaller top drawers are perfect for small clothing items. Simple contemporary metal knobs accent each drawer front. Above, the mirror features a smooth wooden frame around square mirror glass, adding light to your room. This combo will blend beautifully with your decor.